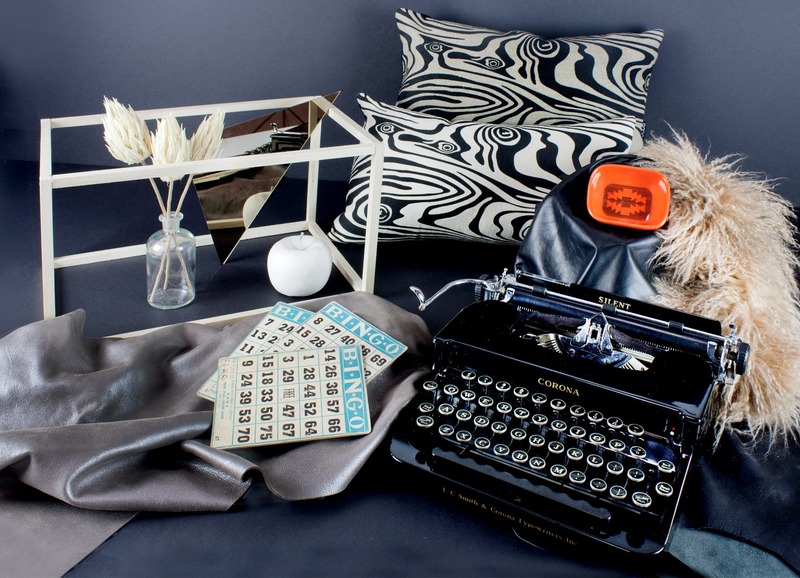 The Boho Luxe collection offers rich fabrics, graphic textures and metallic tones on its pieces to glam up any interior space. 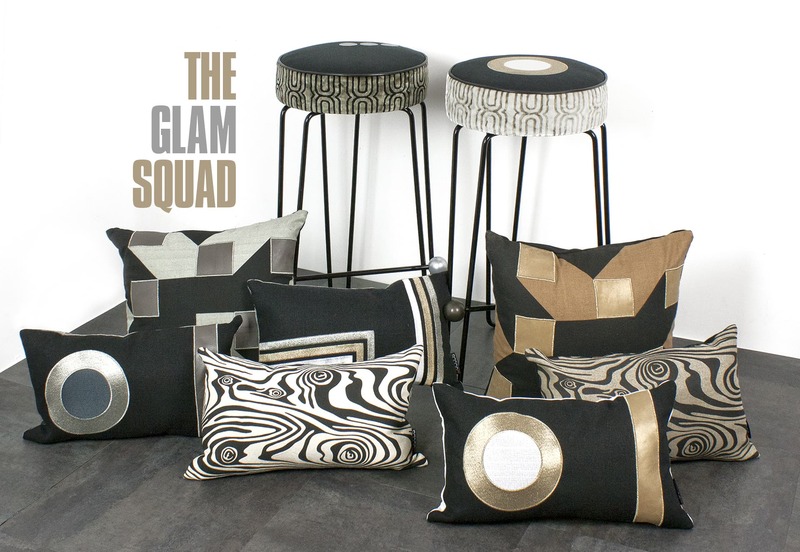 The Absolute Blanco / Noche stools’ modern hairpin legs give an edgy lift to its opulent seat cushion. 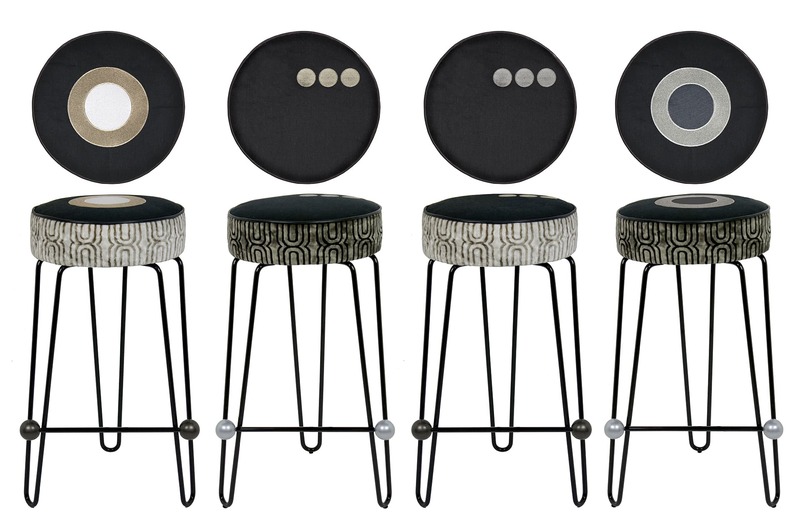 Textural velvet side panels, trimmed in black lambskin surround the organic hemp seat top embroidered in a metallic trio of dots or two-tone circles. 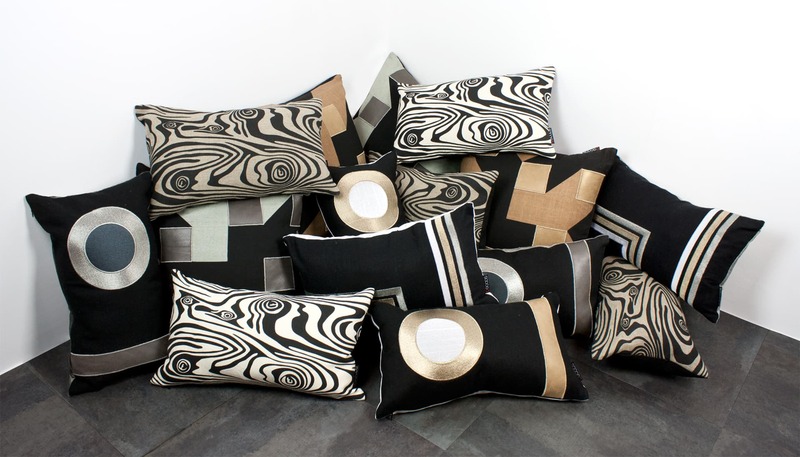 Pillows, pillows, pillows… the 5Four pillow offers bold metallic embroidered lines on silk matka making them club-worthy cool. 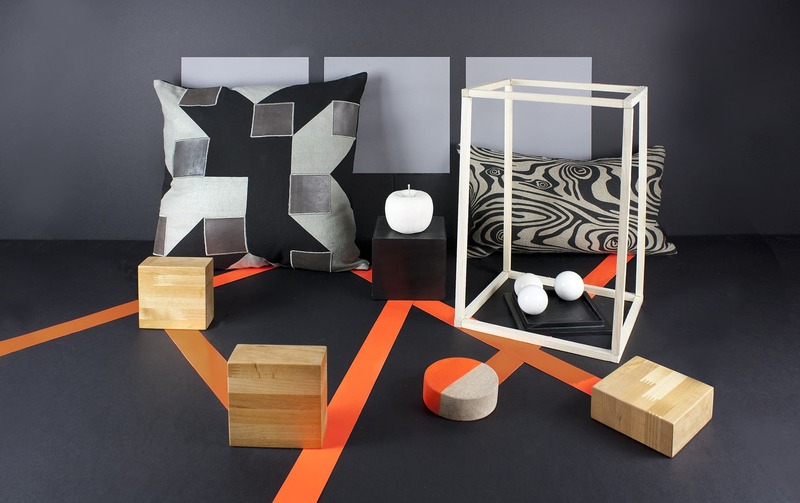 Layer the 5Four pillows with the Cascade, Dublow and Geo pillows to create a swoon worthy graphic grouping. Products designed for DGoods.